Are you looking to book a Disney Cruise but a bit overwhelmed with all of the stateroom options or knowing when is the right time to book? How is a 5B different from an 11C? Are discounts available for Disney cruises similar to Disney World? How much of a price difference is there if I were to move from an inside room to an oceanview or verandah? Once I book can I change my mind on the stateroom category or guests traveling with me? It’s not uncommon for clients to have questions regarding which stateroom will fit their needs best or how they can be assured they have found the best option in terms of price. I’ve put together some information to answer many of the most common questions I come across when working with my Disney cruise clients. This comes from my years of experience as a travel agent and also my experience as a Disney Platinum Castaway Club member! 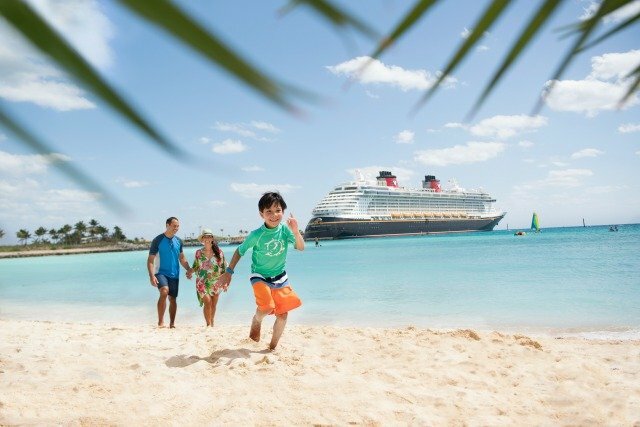 1) When is the best time to book my Disney Cruise? Every wonder why there seems to be a mad frenzy when Disney releases a new batch of sail dates? Seasoned Disney cruisers know that on opening day the prices will be at their absolute lowest and the pricing will continue to rise as guests book a particular sailing. This is especially important if you are considering a cruise during a peak travel time when the prices will be higher, i.e. Christmas and Thanksgiving, the weeks before or after Easter, and summer time. These high peak sailings when kids are out of school are priced considerably higher so it’s especially important to book these as far out as possible. Related: What Is The Best Time Of Year To Visit Walt Disney World? The pricing of a Disney cruise increases as the ship fills so the farther out you book, the lower your costs will usually be! Not only could this family have more time to save but they’ll pay considerably less by booking farther out in 2019. Think this price seems steep for a 4-night cruise? It is - that’s due to the fact that it’s a peak travel period in high demand the week before Easter. If his family decided to sail during a different travel time they could bring down their costs considerably. The same stateroom category for a January 2019 sailing would be only $3,426**. **Please note that the prices reflected in this example reflect the cost for these specific sailings and cabin type at the time this was written. They are not reflective of all staterooms, ships and sail dates. 2) Are Discounts available for my Disney cruise? This is a question I receive often from my clients, especially those who are accustomed to Disney releasing discounts for Disney World on a regular basis. Disney Cruise Line works a bit differently from Disney World so here are some answers about discounts!! Regardless of the ship or price of the cruise, ALL clients who book with Dreams Unlimited receive a discount in the form of an onboard credit. This onboard credit can be used for ANYTHING you purchase onboard and charge to your stateroom account such as excursions, souvenirs, drinks, spa treatments, adults only dining, and more! The amount of onboard credit varies according to cruise cost. This is a discount that you can count on for every cruise. Although it’s not taken off the price of the cruise itself, the onboard credit will reduce the price you pay for your vacation overall. There are several discounts which are offered by Disney Cruise Line directly. These CAN BE combined with the onboard credit from Dreams Unlimited. These discounts fall into three categories; Florida resident discounts, Military discounts and last minute “Guarantee” rates. On select sailings, Disney may release discounts for Florida Residents and/or those with proper Military ID (Photo ID showing Active Military, Retired Military or Department of Defense). The Florida Resident and Military discounts come out much closer to the sail date and are not available for the majority of sailings. They are also usually limited to one or two particular stateroom categories. The good news is that if a Florida resident books a cruise far in advance and a Florida resident discount happens to become available for their sail date, your Dreams Unlimited Travel agent will adjust your pricing to the discounted offer automatically. Military discounts can only be applied prior to final payment. Note that this is an advantage of booking with a travel agency such as Dreams Unlimited. If you were to book with Disney directly they would not monitor and adjust your pricing automatically. The final discount that is sometimes available would be what Disney calls a Guarantee Rate: IGT (Inside Guarantee), OGT (Ocean view Guarantee) or VGT (Verandah Guarantee). In some cases, if the number of guests booked on a particular sailing is lower than what Disney hopes, Disney will occasionally offer these “Guarantee” rates as a way to entice guest to book. Similar to the Florida resident and Military discounts, these Guarantee rates most often come out very close to the actual sail date and are best booked if guests can be flexible with their travel dates and depart with relatively short notice. When booking these rates a guest would choose either Inside Guarantee (IGT), Ocean View Guarantee (OGT) or Verandah Guarantee (VGT) and would be assigned a stateroom in that category. For instance the Verandah Guarantee may be obstructed view or unobstructed view on any deck, in any location. The savings for this rate type can be approximately 20%. There are several conditions guests should be aware of when booking these rates. When booking a IGT/OGT or VGT rate, guests must pay in full upon booking, may not change guest names once booked, may not receive a refund or cancel for any reason, and will be assigned a stateroom number by Disney which they cannot change once assigned. 3) What’s the difference between a Guarantee Rate (IGT/OGT/VGT) and a Guarantee room assignment (GTY)? Typically when guests book a cruise, they choose a stateroom category and receive a particular stateroom number prior to making their deposit. In some instances, when their desired stateroom category is close to selling out, a stateroom number cannot be assigned and guests will notice that their stateroom number is listed as “GTY” (guarantee). This means that the guest is “guaranteed” to be in this particular category, or possibly higher, but they will not know their exact stateroom location on the ship until shortly before their cruise departs. This is different from the guarantee rate described above because the cruise fare is not discounted. It’s important to note that when booking a stateroom category with a GTY room assignment, you are not able to change your location once assigned. If you are booking multiple staterooms in the same category and they are listed as GTY there is a chance you could be on different decks. Sometimes guests find that they are upgraded by Disney once they receive their room assignment, however, guests who book a category with a GTY room assignment should assume that they will most likely receive a stateroom number in the category they booked. 4) What if I’m unsure of the guests who are traveling with me or which stateroom category I want? Can I change the guests in my stateroom or my stateroom category once I place my deposit? Many times clients are ready to book but unsure of all the guests that will be traveling with them, especially if they are booking far in advance. Maybe they are debating between a Verandah and Ocean view and think they’ve made a decision but a month later change their minds. When booking a Disney cruise, don’t feel as though you have to wait to book until you are absolutely certain of all details! Disney will allow you to change guest names for alternative names at any time up to shortly before the sail date. You also have the flexibility of changing the number of guests in a stateroom once booked. It’s important to note that if you are uncertain as to whether a guest may be traveling with you it’s always best to book the initial reservation with this guest included and then remove them prior to final payment if they cannot make the cruise. There are 2 reasons for this rationale. Adding them initially locks in the most reasonable rate for that guest. If you add them later you’ll have to pay the prevailing current price for your cabin that will likely be higher. In addition, once the ship starts to get filled, Disney sometimes limits the number of guests that are allowed in a room so although your room may have bedding for 4, you may find that Disney will not allow you to add that 4th guest in closer proximity to the sail date. If you are uncertain as to which stateroom category is right for you, Disney Cruise Line will also allow changes to the stateroom category (or stateroom number) after the deposit has been placed. It’s no problem to switch if you change your mind as long as the stateroom category you want is still available. 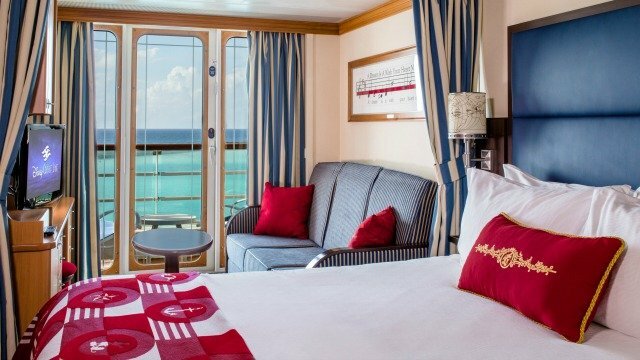 Once final payment has been made, guests can upgrade to a higher priced stateroom but they may not change to a stateroom that costs less without penalty. 5) What do the numbers and letters mean in the Disney stateroom categories, for instance what’s the difference between a Category 11 and Category 5, or a Category 5A versus a 5C? Disney offers 4 general types of stateroom categories: Inside, Ocean view, Verandah and Concierge level. Guest on the Concierge level may choose from verandah staterooms or larger suites and they have access to special concierge services and concierge lounge during their cruise. On each of the four ships, the Disney Fantasy, Disney Dream, Disney Magic, and Disney Wonder, the numeric category corresponds to the type (and size) of room and the letter corresponds to the placement on the ship. Here are the details…. · Category 9 and 8 are Ocean view rooms: Category 8 is offered only on the Fantasy and Dream only and is a larger sized family ocean view room with a window seat and circular tub. · Category 7, 6, 5 and 4 are Verandah staterooms: Categories 5, 6 and 7 are the same size and category 4 is larger. The most reasonable, category 7 will have an obstructed view and a solid white balcony wall. The category 6 has the solid white balcony wall but an unobstructed view. Categories 4 and 5 have the clear balcony wall so you’ll be able to see through to the water when you are sitting on a chair on your balcony. 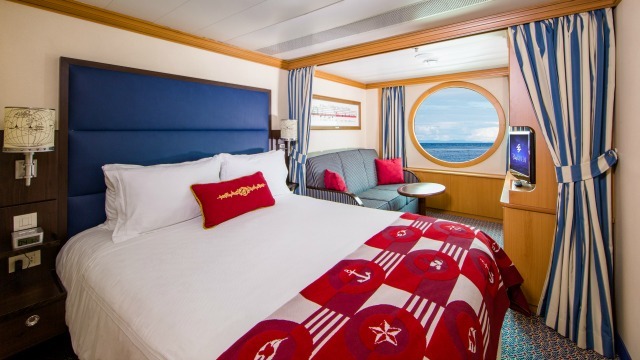 Tip: First choose which stateroom category appeals to you most and then consider whether the placement of your room on the ship matters to you! Some guests don’t necessarily care where the stateroom is located but for others it may be more important to be mid ship or on a higher deck. With the exception of the concierge rooms, the stateroom categories will always have a letter next to them which typically ranges from A to E, for instance 5A, 5B, 5C, 5D, 5E. The “A” will always reflect the most ideal location in terms of placement and will cost more than the B, C, D, E etc. · An 11A inside will be in a better location and/or higher deck than an 11C. For instance, an 11A on the Magic may be on deck 7 midship whereas the 11C may be deck 2 forward. Travel agents don’t assume you have done extensive research prior to requesting a quote. Some guests, especially those who have sailed with Disney before, may know the exact category or even stateroom number they would like to request. Many do not. Be open and talk with your travel agent about what is important to you and they will use their expertise to place you in the right category if you are uncertain! Please note that Concierge rooms use a different categorization system with letters only and no numbers. The letter corresponds to the size of the room/suite only. There is no distinction between the placement on the ship since they are all in the same general area to one another. One additional note about the staterooms on the Disney ships is that all staterooms, with the exception of the category 11 Standard Inside and some handicap accessible rooms, have a split bath format; one bathroom has a sink and tub/shower and the second bathroom has a sink and toilet. 6) How much does the price increase when going from Inside to Ocean view to Verandah and Concierge? On the newer Dream and Fantasy, there is typically a smaller price difference between categories. However, on the two original ships, the Disney Magic and Disney Wonder, you’ll typically see a much larger increase in price as you move up from inside, to ocean view and then verandah. This is especially true for some of the cruises where view is especially desirable, such as the Alaskan sailings on the Magic over the summertime. When moving from Verandah to the Concierge rooms these may be twice as much as the most highly price verandah rooms. Interested in a no-obligation quote for your next Disney Cruise Line vacation? You can write to the author or fill out a request form located here.